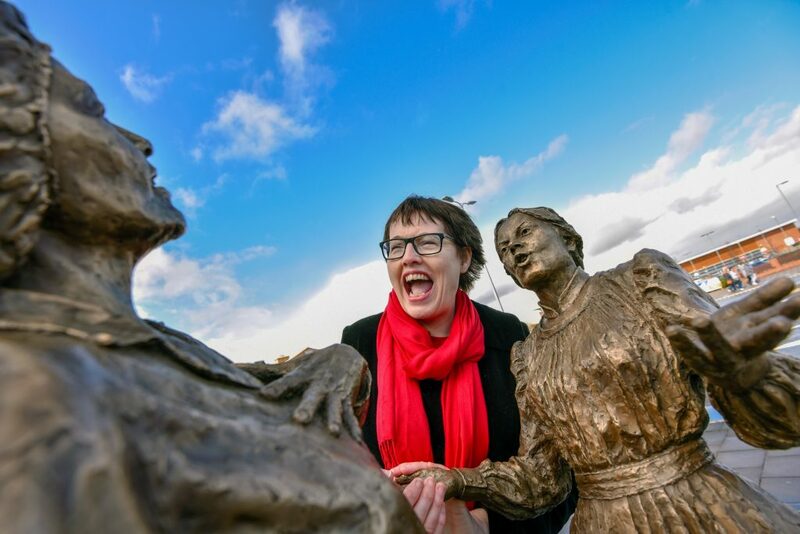 As you read this, women biscuit factory workers – the so-called Cracker Packers – are unveiling my bronze statue dedicated to their work, lives and friendships. It’s in the perfect spot in Caldewgate, Carlisle, right near to the Carr’s (now McVitie’s) factory. It has been a dream commission. The past year has gone so quickly. 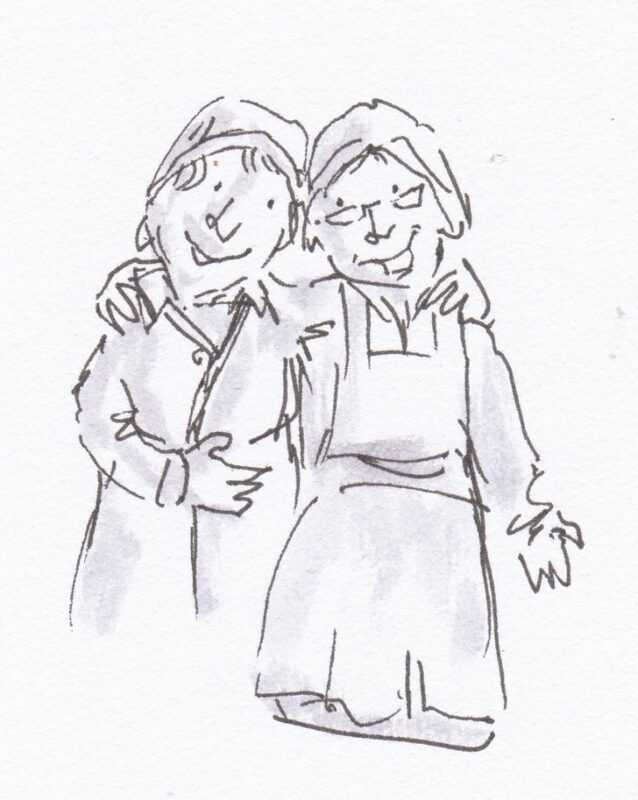 I have been working away in the studio on the statue, consisting of two women biscuit factory workers – one from the past and one from the present – engaged in story-telling and happy chatter, atop a giant Carr’s Table Water Biscuit. I hope the statue conveys the humour, warmth and camaraderie of these women. But this was only made possible by their generosity in sharing their vibrant and hilarious stories with me at the start, at the McVitie’s factory in April 2017. Thank you Cracker Packers Ann Mulholland, Liz Bamber, Jean Burgess, Sue Tinning, Grace Reibitt, Dorothy Watson, Kathleen Rook, Dot Reynolds, Christine Milner, Lina Poole, Cath Thanner, Tracy Higgins and Frances Jordan. What a joy to work with my models – my fabulous sisters (below left) Sandra Reeves and Jenni Kafetz and budding author and seamstress extraordinaire Rosie Talbot (below right). They have amazing patience as I manipulate them into awkward positions and dress-them up in costumes. Couldn’t have done it without you – hope you judge that the pain was worth it in the end! I have been writing a blog about the process and set up a new YouTube channel with Cracker Packer-related videos. Take a look. Comments very welcome. – and a big thanks to my dear Dad, always ready to help out in the studio, and Alan Shay for helping re-lay the studio floor. And thanks to the rest of the family and all my friends who have been so very supportive and patient with me. Sister Sandra also wonderfully illustrated our Cracker Packer workshop in Carlisle – I’ll leave you with one of her illustrations currently part of the Tullie House ‘Spirit of the Cracker Packers’ exhibition display, opening on 10 March. 2 Responses to "Cracker Packers’ statue unveiled"
Absolutely brilliant Hazel, as ever! Very kind of you Alison – it was a labour of love.